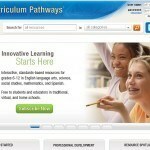 SAS Curriculum Pathways is another ‘almost-too-good-to-be-true’ resource with a familiar storyline: SAS – self-described as the ‘world’s largest privately-held software company’ – decided to give something back to K12 education. And they gave a great deal: SAS Curriculum Pathways is quality, standards-based curriculum for grades 6-12 in the ‘Big Four’ core disciplines (plus Spanish). SAS – a North Carolina company – calls Curriculum Pathways ‘the result of an unprecedented collaboration beween teachers and technology experts.’ I think it lives up to that billing. The technology is superior. The content is intelligent. The design is slick. And the system is comprehensive. It’s all here: lessons, activities, resources, and tutorials. Interactives and animations that are smart and pretty and in some ways better than what you see in expensive commercial curriculum programs. And it’s not just a site packed with resources – there are sophisticated course managment tools built-in. Students and teachers can collaborate seamlessly without having to leave the system. Some highlights: the ‘Writing Revisor’ is a jaw-dropper. And the ‘case studies’ use elegantly designed technology to stimulate interest without trying too hard to entertain. The math and science modules are nicely produced and they avoid the gratuitous use of flash and sizzle one so often sees in commercial (and expensive) ‘edutainment’ products. 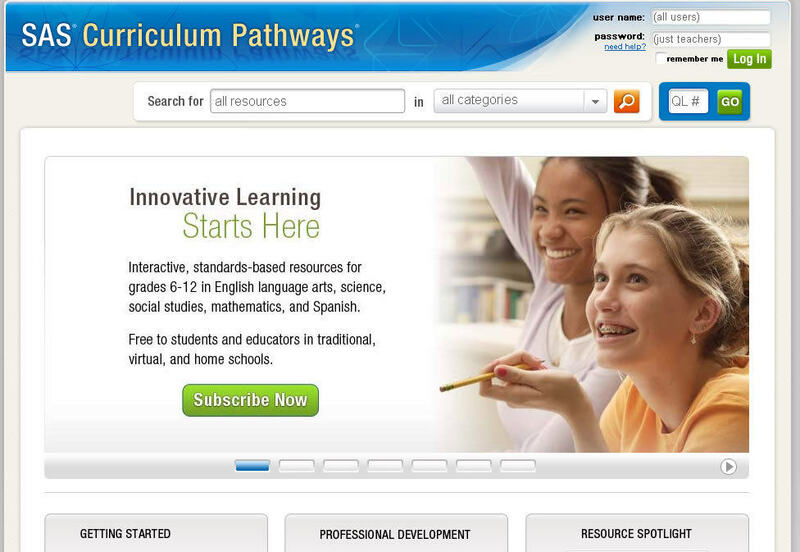 The cherry on top: Curriculum Pathways is rich with professional development materials.